Treasure hunting – make your projects great! It’s always fun to be surprised by finding new treasures! Every time you go to the Homebyme product libraries, you’re likely to find something new to you. 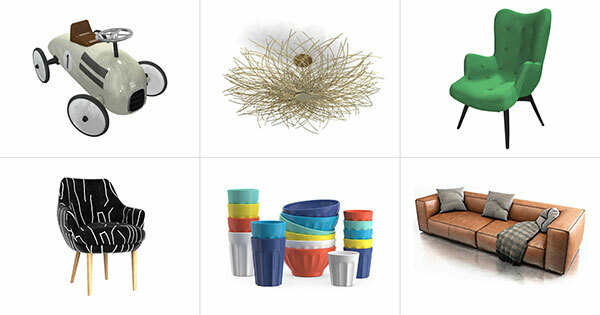 We add many new products every month so your decorative hunt is more likely to be successful. Here are a few examples just to get you started. I want to ride that white car in the next Monaco Grand Prix.